On the east coast, the Borgata kicked off their Winter Poker Open festival with a record breaking field. They opened with a $560 re-entry tournament with two starting days and a $1,000,000 guarantee that drew a huge crowd. By the end of registration there were 3,871 entrees which nearly doubled the guarantee. The BWPO continues in balmy, scenic Atlantic City until the WPT televised Main Event starts on the 27th with a $2,000,000 guarantee. Tweet of the Day – After going over the list of players in the National Heads Up Poker Championship, the most obvious omission was Vanessa Selbst. She answered all the questions in one simple tweet. To answer people’s questions, I was invited to NBC HU but declined. Great tournament but decided to go to Aussie Millions instead this year. NHUPC 2013: Field of 64 announced – And here is the list, nicely typed out by Andrew Feldman. No real big eye raisers here except maybe the presence of Jean-Robert Bellande. He’ll add a little TV flair but at the expense of more deserving players like David “Doc” Sands and others. I like the inclusion of Shaun Deeb, Kyle Julius, Mohsin Charania, and Dan Smith. The Best Poker Movie Scenes of All-Time – The Poker Archivist(tm) Nolan Dalla put together a great list of poker scenes. Give it a look and then your two cents. Want This Job? Wear Your Poker Face – Caesars Entertainment running a management recruiting program dressed up as a poker series? Well played. Sergio García: ‘I am as competitive as possible in anything I do’ – Garcia gave an interview to The Guardian while in the Bahamas for the PokerStars Caribbean Adventure where he talks about poker and competitiveness. The PokerStars Caribbean Adventure knows how to end things with a bang. After an entire festival of big results, it was the final tournament to supply the biggest story. Vanessa Selbst entered the $25,000 High Roller final table needing a 5th place finish or better to pass Kathy Liebert as the highest earning female poker player. Selbst did much better than 5th as she rolled to the title for another impressive victory putting her over $6,000,000 in lifetime earnings. The stacked final table included Shaun Deeb, Mike Watson, Chris Klodnicki, Brynn Kenney, Micah Raskin, and Tobias Reinkemeier. Selbst adds the PCA High Roller victory to her two WSOP bracelets, two NAPT Mohegan Sun (back-to-back) wins, a Partouche Poker Tour win in 2010, and a boatload of other titles. Interesting results during the 2013 PCA included wins by Scott Seiver, Peter Jetten, John Dibella, and Alexis Gilbard plus two trophies presented to Marcel Luske. With the wrap-up of the popular event, players will now take off for various parts of the world including the Borgata Winter Open, the LAPC, and getting ready for the Aussie Millions. RT @vanessaselbst: Ran hotter than the sun. Won the tournament.<~Congratulations Vanessa, Welcome to the women’s all time money lead. 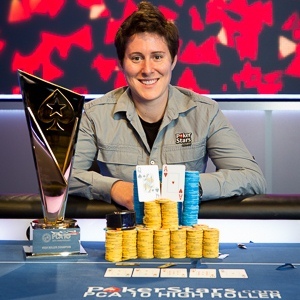 PCA 2013: Vanessa Selbst makes history to win PCA High Roller – Might as well go to the experts on the Selbst victory, this time it’s Master Stephen Bartley at the keyboard with the tournament recap. National Heads Up Poker Championship confirmed list – (Seriously, the list was released as a Google doc?) The popular NHUPC is back after a year off and we now know the first 32 confirmed players for the event including one Mr. Phil Ivey. No big surprises so far but it’s good to see Will “The Thrill” Failla and Maria Ho in the first release. A few other names have already stated they received an invite including Weeds producer Matt Salsberg. WSOP Asia-Pacific Announces 2013 Schedule – Another big festival is now officially scheduled for Melbourne, Australia following the popular Aussie Millions. There will be 5 events including the Main plus a $50,000 High Roller (with rebuys) plus another go at the Caeasars Cup Invitational. PCA 2013: High Roller Champion Vanessa Selbst – Kristy Arnett from PokerNews caught up with the winningest (is that really a word?) female poker player in history. Marcel Luske $18,500 – 2013 PCA H.O.R.S.E. The 2013 PokerStars Caribbean Adventure is well underway with the Main Event down to 30-ish some players depending on when/if you read this. Owen Crowe is the big name up on top of the leaderboard with Joe (don’t you dare call me Sebok) Serock and Eddy Sabat among the names on his tail. The Main drew 987 entrants this year, down a bit from last year which drew over a thousand, and the winner will have to figure out how to get $1,859,000 out of the Bahamas. The next big tournament stops include the WSOP Circuit events at Choctaw, a WPT Regional event somewhere in Florida called Coconut Creek, and the return of the WPT big production to the Borgata Winter Open. Things are definitely back in full swing with the new year. Tweet of the Day – The Heartland Poker Tour made the big announcement today, their structure for the upcoming season has been updated by none other than Daniel Negreanu. The new structure is a great tweak to an already fantastic tour, but no word from top shelf nit Allen Kessler. Lottomatica, Golden Gaming recommended for interactive gaming licenses – Two more companies, Lottomatica and Golden Gaming, received recommendations for online gaming licenses by the Nevada Gaming Commission. The players are starting to take the field, will be interesting to see how this all turns out. 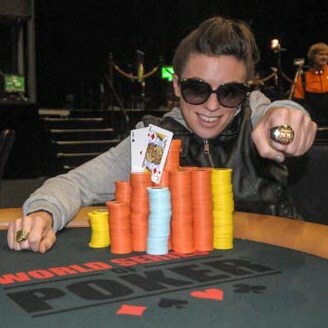 What It’s Like to Be a Woman Who Plays Professional Poker – The Atlantic published a fairly comprehensive piece on uber-grinder Vanessa Selbst and her place in poker. Michael Phelps is playing poker, looking interesting – God bless the USA Today for completely missing the point that a top class athlete was in the Bahamas competing the PokerStars Caribbean Adventure, instead focusing on how he was dressed. International Stadiums Poker Tour Changes Format – The ever changing ISPT is back at it again, this time announcing that “Day 1” will be played online between Feb 3rd to May 19th. Innovative or nuts? I guess we’ll find out. PCA 2013: Michael Phelps & Jeff “PBF” Gross – Kristy Arnett from PokerNews caught up with 18-time Olympic gold medalist Michael Phelps and Jeff Gross. Spoiler alert: cameos this episode from Nanonoko, Negreanu, Phil Galfond, Vannessa Selbst, Chris Moneymaker’s bobblehead, and Noah Stephens-Davidowitz. Extra LOL for As the Button Moves, a “Photoshopera” on the NVG network. 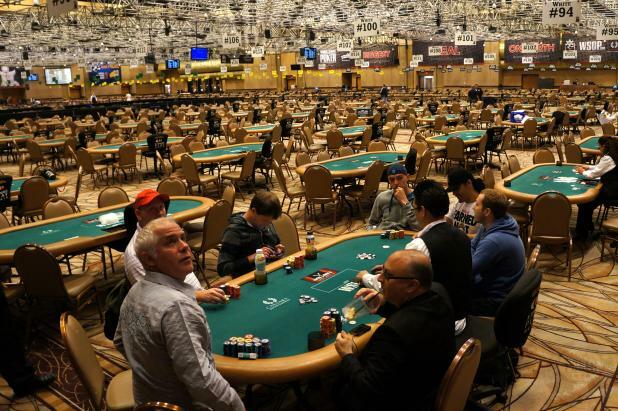 It was Moving Day at the WSOP Main Event, where players are already in the money so they work to build a competitive stack or get out of Dodge. While this should have been the top story, a lot of time was spent discussing a player named Jarrett Nash. 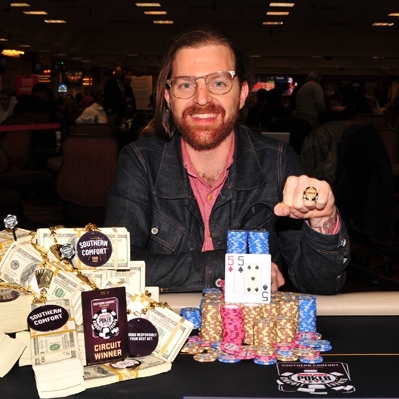 He had only $3k in tournament winnings on his résumé but was already in the money for the Main Event. He drew all the attention because he never returned to play his Day 5 stack and word quickly spread (thanks to a barely accurate forum post) he was not playing for religious reasons. Turns out he left his stack around the dinner break on Day 4 after telling the WSOP staff he would not be returning until after 8pm on Day 5, even providing his Total Rewards cards for when he was blinded out. His stack never made it to 8pm so he officially finished in 171st for $44,655. Of course it just took the mere whiff of this for the forum trolls and Twitter jockeys to latch on like pitbulls. Because, according to those “smart folks”, any decision made without looking strictly at your Expected Value is clearly insane. The Day 5 stories that should have made the most splash included three former November Niners returning, five female players finishing the day with major chips, actor Kevin Pollak getting knocked out dirty with QQ vs QQ, and Joseph Cheong’s incredible Main Event streak. 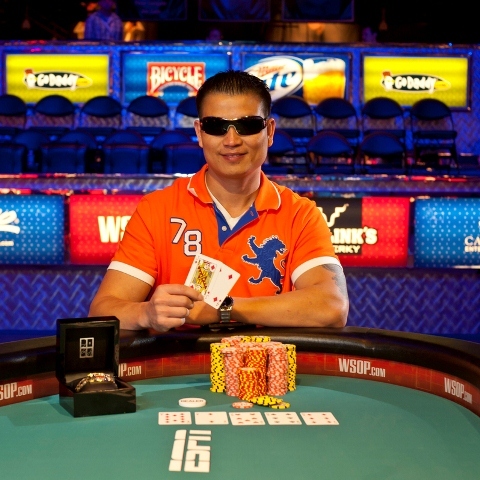 Fun Fact: Joseph Cheong’s last 3 WSOP Main Event results are 3rd place in 2010 ($4,130,049), 114th place in 2011 ($54,851), and 116th place in 2012 ($52,718). Some big names/big stacks in the list of 97 players returning to play on Day 6 include chipleader Kyle Keranen, Gaelle Baumann, Amnon Filippi, Elisabeth Hille, Yuvee Bronshtein, Eric Buchman, Amit Makhija, and Jason Somerville. Play on Day 6 will go five levels or 27 players, which ever takes longer. I’m also in awe of the hubris and myopia of players who are using Nash’s choice to laugh at religion and people who think it trumps poker. Player Skips WSOP Main Event Day 5 – The gang at CardPlayer caught up with the mysteriously absent Jarrett Nash about his decision to not play Day 5. Harry Reid and Jon Kyl Agree on Internet Poker Bill – Senators Harry Reid and Jon Kyle reportedly agreed on terms for an online poker bill. Of course that means absolutely nothing until they get off their tails and do something more than talk. Year of the Woman Continues at the WSOP – BJ Nemeth takes a look at the Year of the Woman for 2012 and lists the Last Woman Standing in the Main Event during the Moneymaker era. 2012 WSOP: Brokedown Palace – I have been remiss in my linking up the great work Brad “Otis” Willis and Stephen Bartley have been doing over on the PokerStarsBlog. The latest gem takes a look at how the Rio Convention Center becomes a ghost town as the Main Event moves along. Explain This: Amanda Leatherman – Everybody loves Amanda, and now Lynn Gilmartin of PokerNews gets the inside scoop on some of her interesting Twitter/Facebook pictures. Not remotely WSOP related. Vanessa Selbst didn’t hide her professional poker career from professors and classmates while attending Yale Law School. 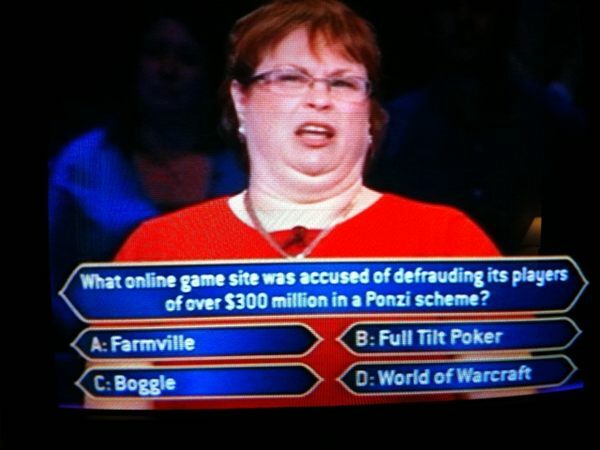 She just put the game on hold for a couple of years. Selbst closed out her online accounts and stayed away from the tables. 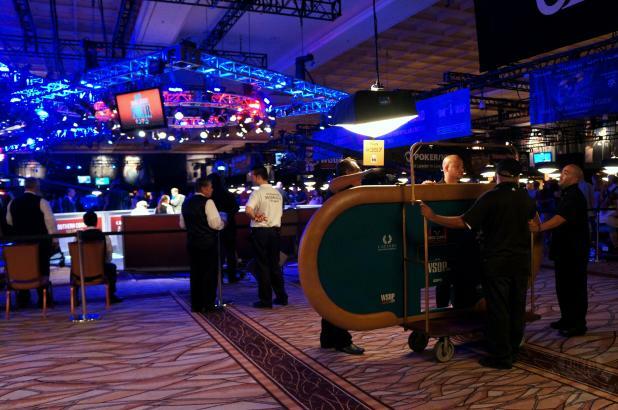 2012 World Series of Poker is underway and there’s already been some complaints and controversy. Plus the return of Phil Ivey. The WSOP always likes to make a big pop with their first open tournament and 2,101 players showed up for the $1,500 NLHE Event #2 on Monday. During these large events over the last few years, the WSOP staff (or perhaps it’s a Rio decision) had a policy to change the women’s room into a men’s room to accommodate the large field. It’s a foolish thing to do and always draws well deserved complaints. This year it didn’t take long for the anger to force a change in policy after Vanessa Selbst, Linda Johnson, Jan Fisher, and a stream of players to raise their voice. Now we should cross our fingers and hope they don’t repeat the silly flash mob before the Ladie’s Event. Tempest in a teapot controversy seemed to be John Kim accusing Casey “bigdogpckt5s” Jarzabek of incorrectly tweeting his bustout hand in Event #2 to deceive backers. Turns out it was the crippling hand he reported but it just means players are now policing the statements of other players spewed out on social media. Thank god we live in the future. The big story was the long awaited return of Phil Ivey to the WSOP after staying away in 2011 because he’s a douche “I do not believe it is fair that I compete when others cannot.” Twelve months later and the Full Tilt players haven’t been paid back but Ivey’s righteous rage disappeared along with his lawsuit. Ivey has been back in full force playing every event he can fit into his schedule including double dipping today in the Stud/8 and Pot Limit Hold’em. No stories yet of big talking internet kids confronting Ivey. No open bracelets have been awarded yet but Event #2 will play out later tonight with Vanessa Selbst, Brent “bhanks11” Hanks, Andrew Badecker, and JP Kelly still in line for the title. Chiab “Chips” Saechao, a blackjack dealer from California, won the Casino Employees Event #1 for $70,859 and bragging rights for the year. $25k Fantasy – This has been running for a few years, a bunch of degens with cash burning a hole in their pocket getting together for a little fantasy poker along with the real deal poker. 11 teams put up the money to draft 8 players auction-style. Phil Ivey was the top player picked followed by Jason Mercier and Daniel Negreanu. Track along as you see fit. BLUFF Magazine’s Lance Bradley handicapped the teams and it looks like Casey Katz is the early favorite. WSOP By the Numbers – These articles caused one of the sillier WSOP arguments in the media last year. Who cares who started it (or made the most from creative cut/pasting WSOP docs), Jess Welman always did it best. You say Jess isn’t doing them on BLUFF this year? Still worth the look. WSOP Circuit – Southern Indiana, Elizabeth, IN :: Action got away Saturday for a month of WSOP-C action in Indiana with 570 players taking part in the first ring event, $350 NL holdem. Check out WSOP.com for results on Monday. Is this news only to me? UPDATE: Question mark removed. 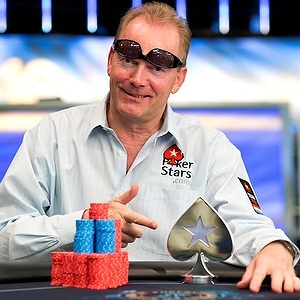 Williams and Selbst signage confirmed by Williams’ agent and PokerStars marketing exec. A formal invite is below, please let me know if you would like to RSVP for this event! Figured it had to be them or Full Tilt … maybe Victory, but probably not, as Williams, upon becoming a free agent this spring just after winning the $25k WPT Championship, seemed to be one of the very few pros with the right combination of image and cred to make him extra-marketable. All makes perfect sense really. As powerful a duo Williams could make with Antonio Esfandiari, it seems much cooler to match him up with two other current and defending big-event champs. Does the year of the woman continue? Updates will be available over at PokerNews, along with live streaming video of the final table over at www.PokerStars.tv at 6am ET.